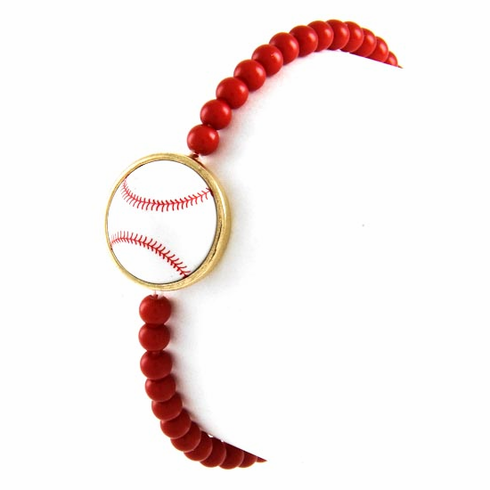 White Baseball red stretchy bracelet. Baseball measures appx. 1/2" in diameter. Gold trim around baseball. Appx. length is 7" before stretching. Complies with Safety Regulation of Lead and other components.